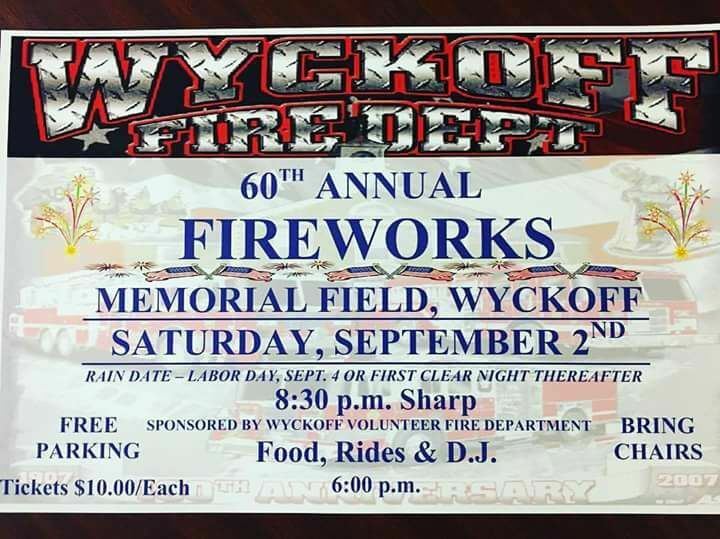 The Wyckoff Fire Department would like to announce that despite the potential weather, the 60th annual fireworks are still on for tonight. Fireworks start at 8:30 pm. There will be a DJ, food, and rides for the kids prior to the show behind Fire Company 1 near the library. Hope to see you there!